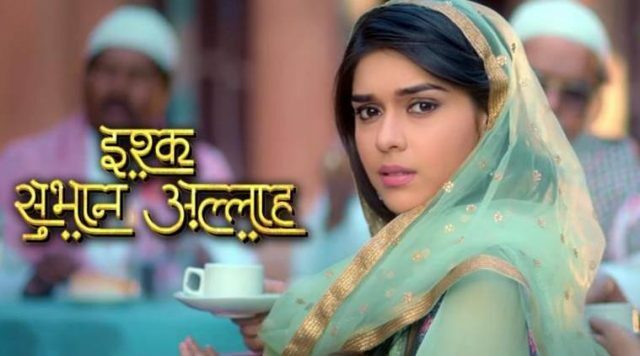 In the latest episode of Ishq Shubhan Allah 23nd October 2018 written episode Ruksaar recalls how Zara challenged her that she can not get Kabir. She saw to Zara that she was working with Kabir on some papers. Kabir looks in Zara’s eyes, they keep looking at each other, they both saw each other in every lovely way. Some papers fall down, Zara and Kabir both get down to take it and touch hands, Kabor smiles at her. Zara was got angry for this and she gets up. After this, she decided to decorate Ruksaar’s room for her first night. Zara said all this to Kabir to listen to this he is getting so tensed. Kabir came to Ruksaar’s room and saw decorating it, he thinks that Zara will do this for you. Ruksaar came there and said to Zara that now I am spending my first night with her husband Kabir, she told to Zara that I am spending my first night with Kabir, then you have spent nights with him so which kind of lights be liked by Kabir? She asks her the colour of the lights likes? Dim? Blue? yellowish? Kabir gots angry and tries to took Zara from there. Ruksarr said that Kabir is you that eager to be alone with me? Zara angrily leaves from there. Kabir was panic to saw all this ns he stops to Zara and said why are you doing this? Zara says that you gave me the divorce, Kabir told to Zara that I am doing all this for a reason, Zara said me too. Kabir says you are decorating her room to spend a whole night with me? Zara said to Kabir that she will do all this to test my love, tomorrow night will show is our love will remain colourful or be fade away for life. Precap: Kabir is offering prayers. Ruksaar eyes him lustfully and whispered that I will spend tonight in yours arm and tomorrow morning. She mixes poison in juice jug and said tomorrow morning, we will drink this and leave this world together.